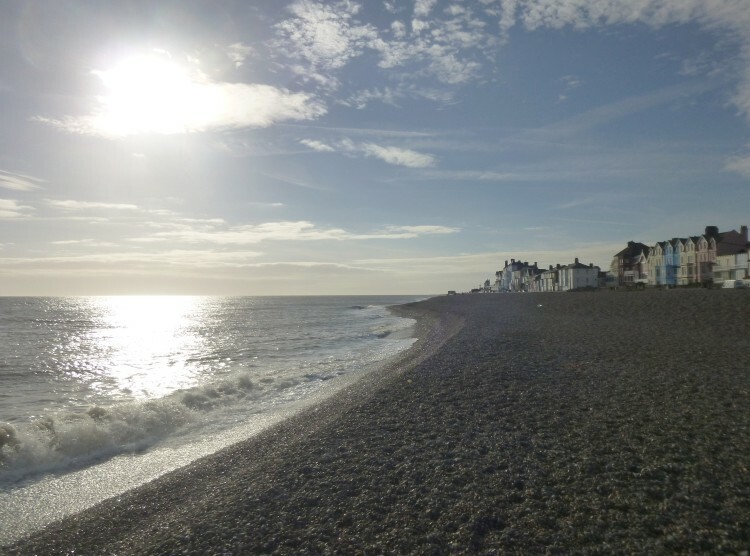 Last Monday I set off up to Aldeburgh on the Suffolk Coast again, to spend a few days with my niece at Neptune House – where we stayed in July. 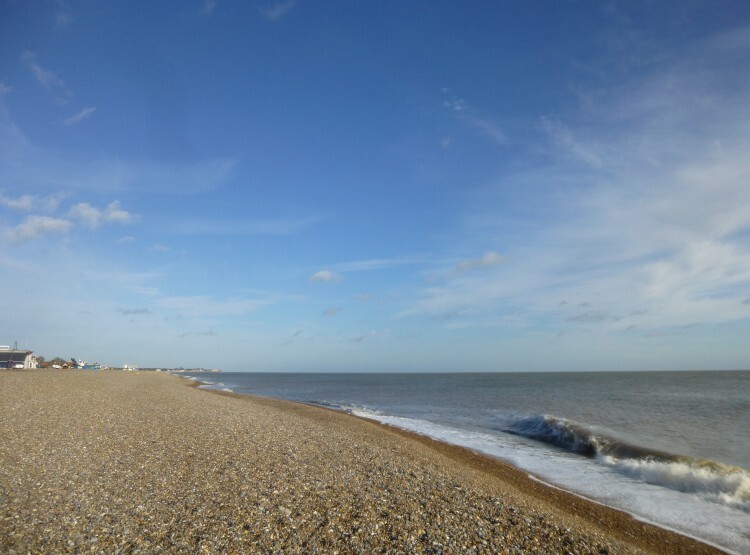 We were incredibly lucky with the weather, as although it was very windy, it was dry, and on Wednesday really sunny! Very sunny . . . .
. . . but very windy! 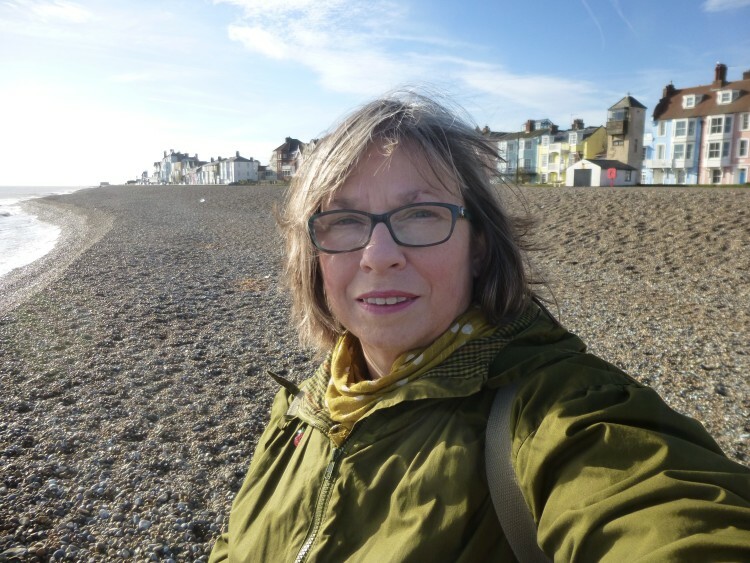 I did a bit of drawing, and took photos, and walked right along to the Martello tower and Slaughden. On the beach after dark there were a surprising number of people sea fishing each night. 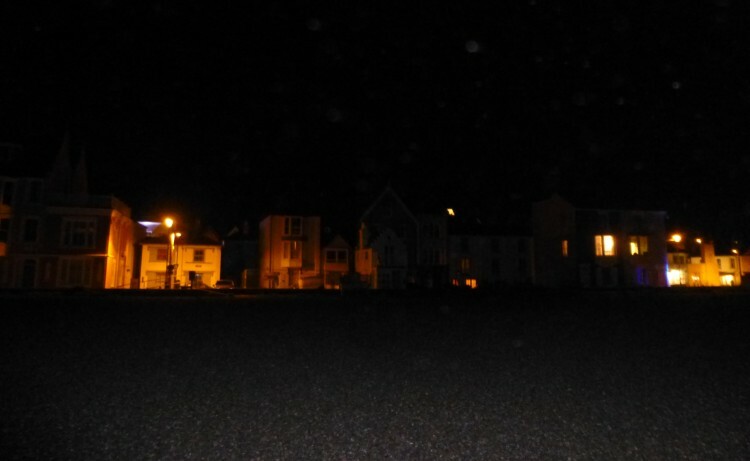 On Wednesday night it was so clear that we lay on the shingle to get a better view of the stars – once down on the shore line there is very little light pollution, and the stars were wonderful. I could pick out Orion coming up out of the dark sea sideways, and the Seven Sisters, and Cassiopeia overhead, the bright stars showing up against a wonderful haze of more distant stars. 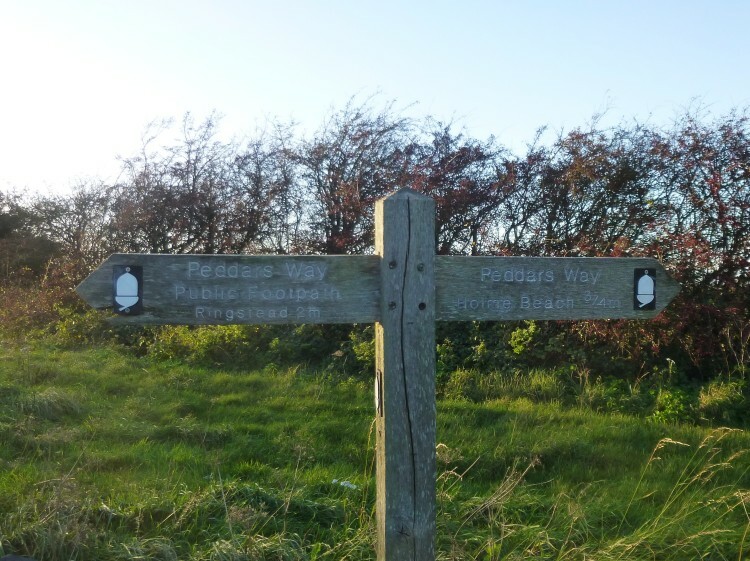 On Thursday I took my niece home, and went to stay with my sister in Kings Lynn, to walk a bit more of the Peddars Way. 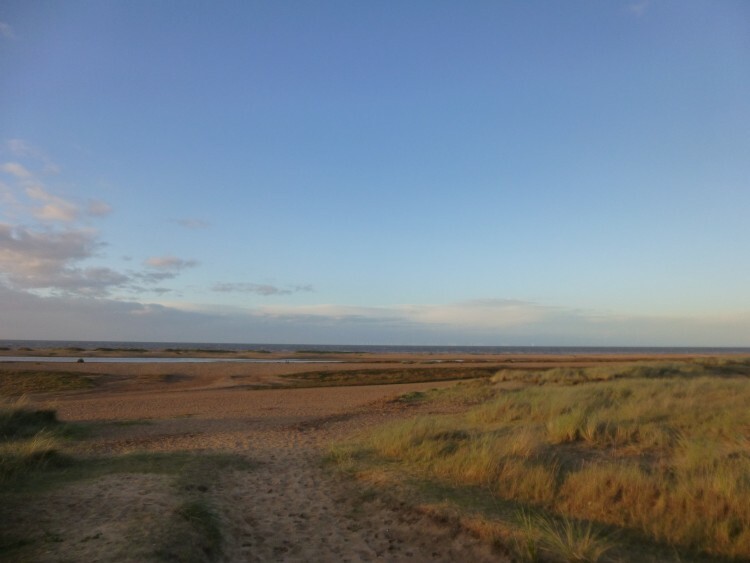 Again, we were really lucky with the weather – it was incredibly windy with a clear blue sky, but muddy underfoot due to the rain on Thursday night. 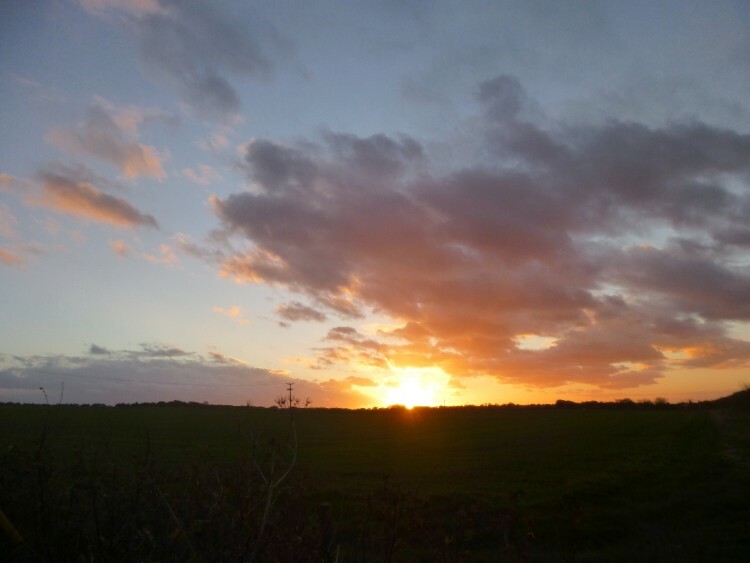 We started at Ringstead, where we left the car and walked out of the village northwards, past the tower of a former windmill. 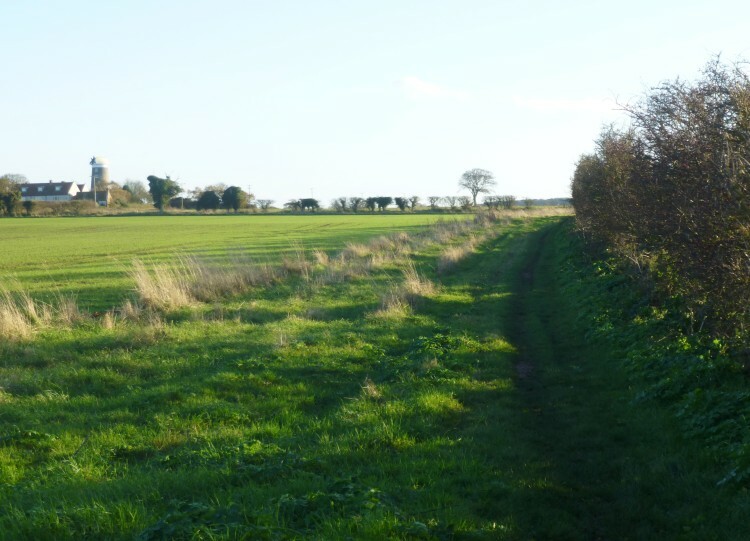 Ringstead mill can be seen on the sky line on the left – this was taken looking backwards up the path we had just walked. 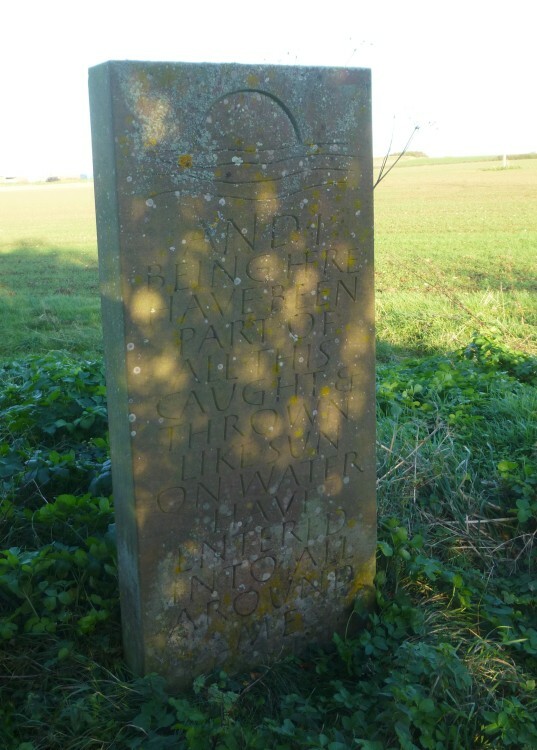 We found the last of the standing stones, with words taken from Hugh Lupton’s book, A Norfolk Songline, and carved by Tom Perkins. 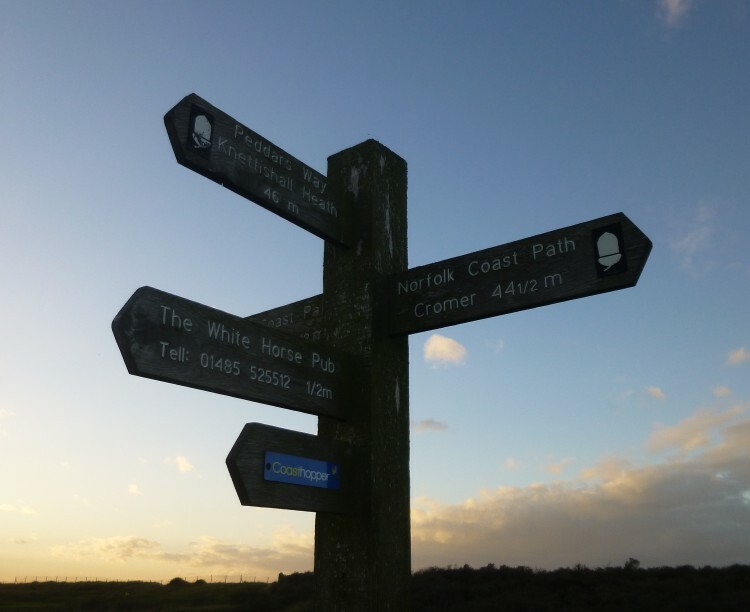 We carried on walking until we reached the point where the Peddars Way intersects with the Norfolk Coast Path. We carried on walking north, across a golf course (! ), and through a gap in the downs which was thick with sea buckthorn smothered in orange berries, until, as the guide book says, the Peddars Way ‘simply peters out on the beach’ – at Holme next the Sea. Walking back to the car it was starting to get dark, but there was a stunning sunset over the open fields which was a lovely end to our afternoon’s walk.